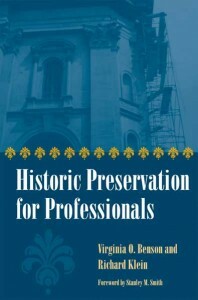 After completing an extensive survey of preservation programs throughout the United States, authors Virginia O. Benson and Richard Klein saw the need for this comprehensive approach to historic preservation, examining where it has been and where it is going, anticipating that historic preservation must encourage collaborative projects among planning, design, and development professionals. This text focuses on complex economic, political, and social realities facing the profession today. 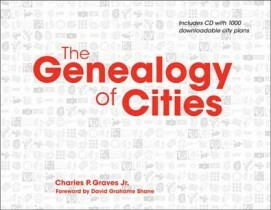 Specifically, Historic Preservation for Professionals provides an in-depth historic analysis of the profession, a summary of legal issues, an architectural synopsis, a discussion of career opportunities in the public and private sectors, and examples of innovative nonprofit leadership and preservation trends. Design professionals—architecture, interior, and landscape—and those interested in urban design and urban studies, real estate development, and nonprofit management will find Historic Preservation for Professionals a valuable addition to the fields of architecture, urban design, and preservation. Virginia O. Benson is associate professor at the Maxine Goodman Levin College of Urban Affairs at Cleveland State University. She is the coauthor of Introduction to Urban Studies and has contributed articles to Appraisal Journal, Journal of American Planning Association, and Real Estate Issues. Richard Klein is adjunct assistant professor at the Maxine Goodman Levin College of Urban Affairs at Cleveland State University. He is coauthor of A Guide to Cleveland’s Sacred Landmarks and has published articles in Real Estate Issues, Blueprint: The Association for Preservation Technology, and Appraisal Journal.